Seventeen years ago, Sharon Deitrick was asked to join a Task Force that would raise funds for a memorial in Shanksville, PA. She met with several people on many different occasions, and pointed out that the people that can help carry on the legacy of the Heroes of United Flight 93 was the children. She came up with the initiative that children could do chores or another task to earn money to raise 93 cents for Flight 93. She took her message out to schools all over the country. She spoke to several Senior Citizen groups, teaching the story of the 40 Heroes on United Flight 93. Children were setting up “jeans days” and “bowlathons” to raise money for the memorial. Each year, each school carried on the message of courage, valor, and selfless giving. Paul Murdoch Architects were hired to design the Memorial on the crash site in Shanksville. Through many private donations, and the help of school children everywhere, on September 9, 2018, The Flight 93 National Memorial in Shanksville, PA was completed. The final installment, The Tower of Voices was dedicated. 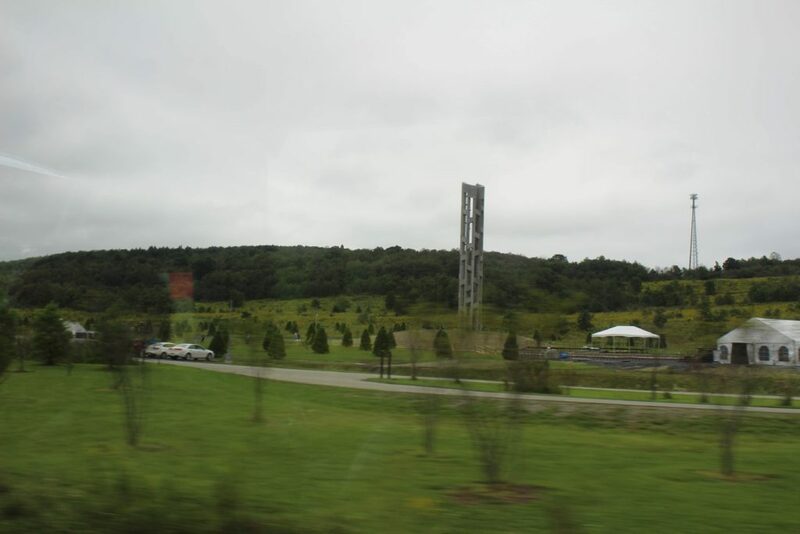 The structure is 93 feet tall, and holds forty different sounding chimes that represent the 40 Heroes aboard United Flight 93. 3.